For some reason I had got it into my head that ‘The Ministry of Fear’, my first read for Greene for Gran, was going to be something of a rather light hearted farce along the lines of ‘Our Man in Havana’ only with mystery, murder and cake I might like it a bit more. Yes, shock horror I have read Greene before and not always enjoyed him, more so in his farcical writing it has to be said which always made Gran look very perplexed when we discussed his works. Sorry Gran, good news though, I really liked this one because it did so much more than I was expecting it to. Arthur Rowe is a man who finds himself in a war that, apart from when the sirens go off and people head down to the shelters, he finds he has very little involvement or even real feeling for. He spends his days wandering and thinking about his past (which once you discover it explains why he isn’t fighting in the war) and spending his monthly allowance on this and that as is his want. It is on one of these trips that he stumbles upon a charity fete, which he can’t help but enter as it reminds him of his childhood. So far so innocent, though as he visits the stalls something seems slightly amiss. Arthur’s perceptions aren’t wrong as it is the simple act of guessing the weight of a cake throws Arthur into a world of spies, mystery and murder, though as we discover Arthur himself is no stranger to the latter. Greene’s line above perfectly sums up the brilliant start of ‘The Ministry of Fear’ as you read on things get stranger and stranger and darker and darker. Charities suddenly have a dark undercurrent and you question if you can trust anyone no matter how sweet they might seem on the face of it. It goes from twee English war novel, to slight Agatha Christie territory (a séance indeed) only darker and then into a full on spy thriller as the book goes on and you as the reader get further and further drawn into a web of espionage and secrets in the war torn present and also the dark recesses of Arthur’s past. Greene also does something very daring as after throwing you into this world in the first part of the book he suddenly throws you somewhere completely different and unexpected in the second which you won’t see coming. This leaves you briefly disorientated, which you soon gather is the point, and then a whole new set of sinister thrills and spills start. I was reading along thinking ‘I wonder if Gillian Flynn read this book before she wrote ‘Gone Girl’?’ not because of the narrators but just because of the genuinely surprising turns that Greene throws in the readers direction. As well as being quite a page turner, though I wouldn’t go quite as far as to say it became so compelling I couldn’t put it down, Greene shows what a master he is not only of atmosphere (war torn and spy strewn London) but of writing a book which takes you on a rollercoaster of emotions as much as it does thrills. Some of the book I found profoundly moving, both the descriptions of the destruction the war inflicted and also in an element I can’t explain here for fear of spoilers – but I will in the comments if people fancy a natter about it. Greene also made me laugh out loud on several occasions which, with all the tension and twists, proved much needed and added a great contrast of light amongst the dark. I have now read five of Graham Greene’s works, with more to come, and I think out of what I have read so far ‘The Ministry of Fear’ might be my favourite because it mixes all of his styles in one novel. It has the humour of ‘Our Man in Havana’, the brooding gloom of ‘Brighton Rock’, and the ability to completely move/ruin you as ‘The End of the Affair’ did me, it blew me away back in my pre-blogging days. It is also one of those books, which I love, where you can see where it took riffs from books just before it or of its time (Agatha Christie) and also where you could spot where novelists now (Gillian Flynn, Alex Lemaitre) might have got their inspiration from. I am really glad that I have read this, my only regret it that I can’t have a good old natter with Gran about it as I think she would have been delighted to see me so impressed by one of Greene’s lesser known works. Good thing I have all of you to chat about it with then, isn’t it? Again I can’t thank you all enough for your lovely comments here, on Twitter, Facebook and in my inbox about Gran and the bit of her eulogy I featured on the blog recently. One of the things that has been really lovely to see/hear is the fact that many of you have been out and gone and bought/borrowed (using Gran as an excuse, which she would love) a Graham Greene book in her honour. After having a natter about it with Stu of Winstons Dads Blog and Simon of Stuck in a Book on Twitter I have decided to start ‘Greene for Gran’ or #GreeneForGran throughout the whole of August as a fitting memory to Dorothy Savidge, I guess explaining exactly what that means would help wouldn’t it? 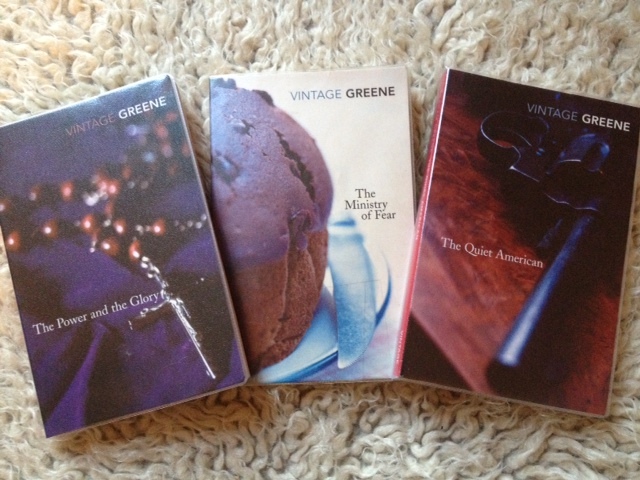 Well as Gran loved Graham Greene so much, and as she frequently reminded me – bless her – that I was prone to reading too many modern books, I thought I would go and try a few more of Graham Greene’s novels on and off throughout August, maybe one a week. This will culminate in some kind of Greene-a-thon on the last few days of it and, as a nod to Gran, I would love it if you joined in. Let’s face it you have quite a selection of novels, short story collections and non-fiction to choose from, so many in fact I am just going to link to his bibliography and save my fingers!) You can read as many or as few as you like, there are really no rules apart from giving Greene a go, or another go… for Gran! Speaking of cake, nice sedge-way there Savidge, I think the Greene I will give a whirl to first will be ‘The Ministry of Fear’ which has my favourite title and sounds like a hoot. “For Arthur Rowe the charity fete was a trip back to childhood, to innocence, a welcome chance to escape the terror of the Blitz, to forget twenty years of his past and a murder. Then he guesses the weight of the cake, and from that moment on he’s a hunted man, the target of shadowy killers, on the run and struggling to remember and to find the truth.” Genius! Yes, that will do me nicely. So who is up for trying something new, revisiting an old favourite or giving Greene another whirl? Which title will you go for? Let me know in the comments, I will share everyone’s reviews at the end of August so hopefully people can discover even more. Do spread the word here and there if you can and #GreeneForGran on a certain media site. Would be lovely to have lots of you joining in! The more the merrier, as I am sure Gran would agree. You are all probably going to get most bored of the expression ‘this reading by whim malarkey throws books you weren’t expecting in your direction’, yet it is proving to be the case and I am sure will remain so throughout the year. As usual I have completely over packed, in terms of books, for a week at Gran’s. I brought four thinking that a) as the journey is 4 – 5 hours each way so that is really a book each way, roughly b) I will have plenty of time to read with her or when she is asleep. Well in truth a) I tend to end up watching all the beautiful scenery and listening to peoples conversations, don’t pretend you don’t b) it is just non stop at Gran’s. I am only managing to write this as she has been sent to bed, well sort of sent, ha. The other thing I had forgotten was whim and Gran’s bookshelves have proved too tempting in the hunt for some short reads to gobble down when I can. 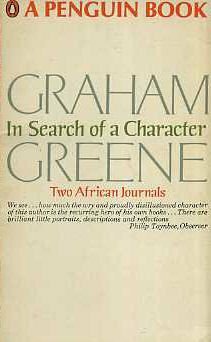 That is how I came to Graham Greene’s ‘In Search of a Character’ a book I didn’t even know existed until I spotted it yesterday whilst having a nosey. Regardless of whether you have read the novels that the period Greene describes in these journals they do make for interesting reading. Firstly there is the way that such a famous authors, though I am sure it is similar to less well known/budding authors too, mind works. He tells of overhearing the case of a man who spied his wife having an affair with his clerk, saved up enough to buy a old car that he used to run the clerk down before then deciding full of remorse to kill himself – he then later puts this into ‘A Burnt Out Case’ as a small side story that manages to solve another gap in plot strands. It also shows how much doubt goes through his head as he writes, and indeed how little he really knows and how slowly his own story reveals itself to its author. As someone who loves books and the crafting of them I found all of this fascinating. The other thing that I found equally fascinating was the subject of leprosy in the novel. Greene doesn’t just watch from afar by any means. He finds himself working closely with a specialist doctor of leprosy and indeed living amongst the lepers himself, which at the time many people thought was sheer madness as they didn’t understand how contagious or not it was. Occasionally it is not for the queasy reader but it highlights a period in history that I knew very little about, and one that wasn’t that many moons ago. Here, through Greene overhearing tales he doesn’t use, we discover how infected men will drag their wives with them regardless of the fact their wives may catch the disease yet how if a wife catches it she is abandoned, unless she takes a lover and all hell breaks loose. We also learn how people started to figure out how the disease worked and how they might be able to cure it, which also lead to the novel Greene was writing’s title. It might seem odd to have read ‘In Search of a Character’ before reading the books that it inspired, though it has made me want to read ‘A Burnt Out Case’ (which I think I have somewhere in the TBR) before the year is out. It might also seem an odd choice as my fourth ever Greene read, my first being ‘The End of The Affair’ followed by ‘Our Man in Havana’ and then ‘Brighton Rock’. Yet it worked for me. I found getting inside the authors head, learning about him and seeing how it all came to fruition really, really interesting. Maybe I missed a few things I wouldn’t have if I had read the books first but I can always come to this one again afterwards at some point can’t I? If you have ever wondered how an authors mind works and where they get their ideas (if that doesn’t make them sound like a rare endangered breed of beast, oops) then I would recommend you give this a whirl, of course if you are a firm Greene fan already it will be a no brainer to pick this up. Weirdly it seems apt that I dropped reading ‘HHhH’ by Laurent Binet as it has the same sort of duality as this one, and I think Binet’s is even more fascinating. I will be reading that again when I leave Gran’s and reporting back in due course. Back to Greene though… Which of his novels would you really recommend? Should I read ‘A Burnt Out Case’ next or something else? So my first book of the year has been read and it was quite an experience in many ways. ‘Brighton Rock’ is a book that I think a lot of people have read already, or indeed studied, or certainly heard of at some point in their lives. I think I was bought a copy by Granny Savidge Reads way back in the dark ages when I didn’t really like reading and so sadly have no idea where it went. It’s a book that I have often been told ‘you really must read’ and therefore, being the way I am, its one that I have somewhat veered away from. However having seen the trailer for the new adaptation in the cinema and really wanting to see the film it felt rather fateful that the next day in the library I saw a copy that seemed to have my name on it. ‘Brighton Rock’ tells the tale of an antihero in the form of Pinkie Brown, a young leader of one of two gangs running and trying to rule the streets of 1960’s Brighton. It’s not giving anything away to say that the book starts with the murder of Charles Hale, who we know through most of the story as Fred, who betrays one of the gangs of Brighton and the final hours leading up to his demise. By chance Fred meets Ida Arnold, who is such a wonderful character its almost untrue, a woman he tries to keep with him to save his skin and who is lead into action because of his death. Throw in Pinkie and his role in all of this, along with his chance encounter with a young waitress called Rose who could become the perfect alibi which could also lead her into more and more danger. Can Pinkie silence everyone around him and get away with it? Can Ida save Rose from Pinkie and their unlikely love affair whilst avenging Fred? You could be a bit lost right now as though Graham Greene makes this all seem relatively simple… I haven’t quite. You might be also be thinking ‘blimey there is a lot of this story that seems to be by chance and coincidence’ and you would be in the position I was in about a quarter/half way through. I couldn’t 100% get my head around why Ida cared about a man whom she had met once on a chance encounter or why she was so desperate to save Rose from Pinkie. I just had to let go of that and enjoy the story for what it was and Ida for who she was. I have to be honest with and say Ida stole the show for me and every chapter with her in was guaranteed to have me gripped. Pinkie is a fascinating character, especially as his feelings for Rose develop both for good and bad, yet he isn’t likeable which doesn’t matter, just occasionally makes for harder reading, especially as I couldn’t see what Rose saw in him. That’s not to say the rest of the book didn’t have me at hello because despite the initial confusion of Charles being Fred and also “Kolley Kibbler”, on assignment to anonymously distribute cards for a newspaper competition, followed by the fact Greene also calls Pinkie ‘The Boy’ (and then their are the two gangs and some of their members nicknames) I was actually rather into the book early on. ‘Brighton Rock’ actually made me read slower when I started to struggle, only I didn’t give up, something (quite possibly Ida) made me carry on reading. It was just wonderfully written in a fantastic prose which managed to stun you with its simplistic beauty and be gritty rather than flowery all at once, and the atmosphere of a slightly bleak and darker Brighton is done to perfection. It does seem rather strange that I have found my first review of 2011 much harder than any of 2010 to write. I wonder if it’s because I am slightly out of practice or the fact that this particular book is hard to encapsulate, especially with such mixed emotions about it. I am hoping its not an ominous sign. Maybe I should have let the book lie a little longer in my mind? In fact I am now getting most cross with myself for not feeling like I have done the book justice and explaining enough why I thought it was a truly remarkable novel and yet also occasionally an underwhelming one all in one go. Grrr! I am not sure if it is the same for everyone but the first book I read each year does have quite a bit of pressure resting on it. I want something that will set the mood for my reading year, something good, something that I want to talk about in the hope this will lead to others. I think Graham Greene’s classic novel ‘Brighton Rock’ was just such a book. 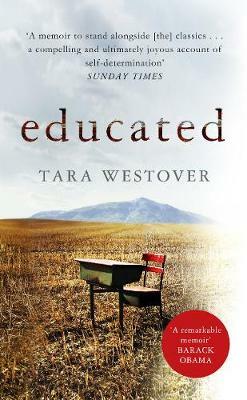 Even though on a couple of occasions I wasn’t sure it would be; it forced me to read slower, it had highs and lows (though the highs won), it felt like a real story, it was flawed and yet wonderfully written, as were some of its characters, most importantly it held me even when I might not have wanted it to. You can’t really ask more than that in a book and hopefully it’s set the scene for some corking reading in the year to come. This book was spotted by chance at my new local library.